The PTP Wiring System lowers installation costs. The PTP Wiring System is assembled right here in Louisville, KY. The PTP Wiring System makes wiring fixtures uncomplicated. 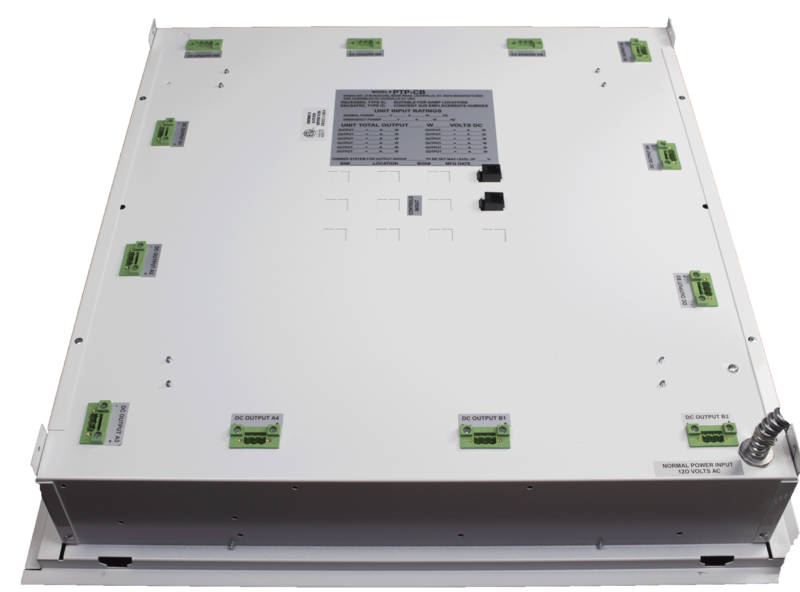 The PTP LED Control Box and Wiring System is a new and innovative method for powering LED luminaires in a building. 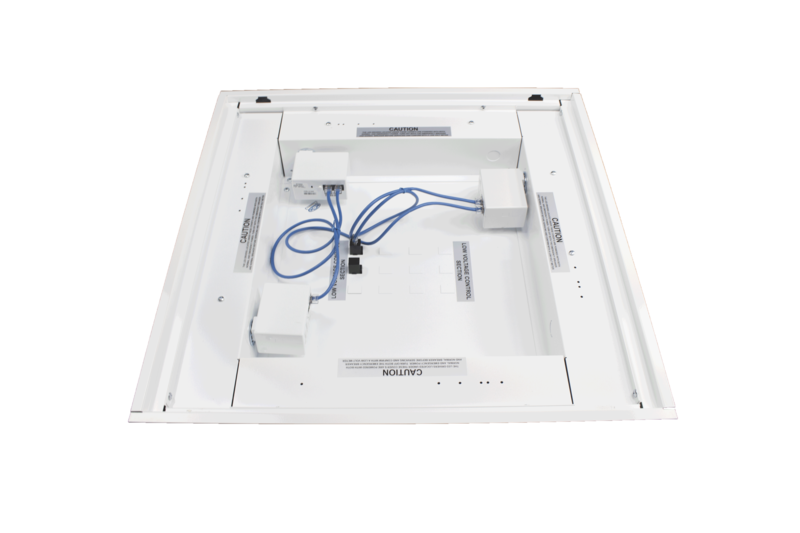 It centralizes all the LED power supplies and lighting control equipment in an easy to access location and supplies power for up to 12 LED luminaries per box through class 2 cables connected to each luminaire. The box comes pre-wired with a 72” flexible 3-wire 16 awg metal whip to connect to normal power. If the room has an emergency fixture, there is a second 72” flexible 3-wire 16 awg metal whip to connect to emergency power. 50 ft 18 awg stranded plenum rated class 2 cables with quick connectors on each end are provided to plug into the LED light fixture and the top of the box. The required lighting control components (photocell, occupancy sensor, emergency bypass relay) are installed and pre-wired in the box. If required. Cat 5 ports are installed on the top of the box to connect the box to the lighting control system. The PTP Control Box is ETL approved and manufactured in the USA. 1. All lighting control components, including LED power supplies, are contained in a centralized location accessible from the interior of the room utilizing a 6 foot step ladder. 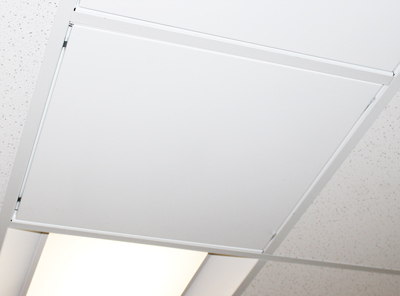 There is no need to work above the ceiling grid or to search for lighting control components mounted above the ceiling thereby preventing damage to the grid or ceiling tiles. 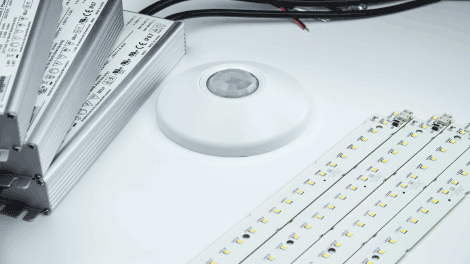 Most LED fixtures have top access to the drivers requiring access thru the top of the fixture above the ceiling. The PTP box eliminates this burden. 2. LED luminaires can be relocated easily by unplugging the low voltage power cable from each quick connect terminal, repositioning the fixture and then plugging back in the low voltage power cable. 3. The PTP Box and LED fixtures are not permanently connected to the building and can be considered portable. It can be classified as personal property and therefore eligible for accelerated depreciation for income tax purposes. Check with your Tax Professional. 1. Reduced installation cost as the electrical contractor only has to make 3 line voltage power connections (6 line voltage power connection if an emergency fixture). 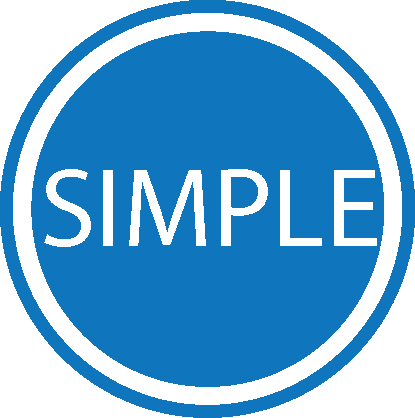 The low voltage cable that supplies each fixture can be installed by an electrician's apprentice or general laborer due to the class 2 rating. 2. Only one conduit run and junction required per room (or two if emergency power required). 3. The PTP Control box comes fully wired, ETL approved, and ready for installation. The PTP Box and all lighting components are fully tested in our manufacturing facility eliminating the need for the contractor replace defective components and waiting for the replacement components to be delivered during the installation phase of the project. 4. The box can be customized by adding various components. -Occupancy Sensor or Photo Cell can be installed on the hinged door. -Dimming packs can be installed in the low voltage section of the box. -Bridge can be mounted in the low voltage section of the box.